The NYT's CEO has a warning about Apple News-style services. The New York Times has yet to sign up to Apple’s news subscription service — and it’s got a warning for those publishers who do. Mark Thompson, chief executive of the NYT warns publishers that third-party distribution could mean losing control of their product. The New York Times is the biggest U.S. newspaper, as measured by its approximately 4 million subscribers. Thompson went on to say how broadcasters might want to have “thought twice” about giving their library to Netflix. While he didn’t comment on conversations with Apple, it does suggest that a deal between the two parties may not happen imminently. Apple is expected to show off its magazine and newspaper subscription service on Monday at the March 25 media event. Based on Apple’s acquisition of magazine subscription service Texture, the new service supposedly will offer a large number of publications for one monthly price. Just as with iTunes’ efforts to get record labels on board, Apple’s approach of publishers has had initially mixed results. The Wall Street Journal has reportedly agreed to participate. A new report also claims that Vox Media will also be on board. However, both the NYT and Washington Post have opted out. It’s certainly a risky proposition in some ways. The news media is going through massive changes, as print sales continue to decline. But it’s not obvious that Apple’s approach is a surefire hit. 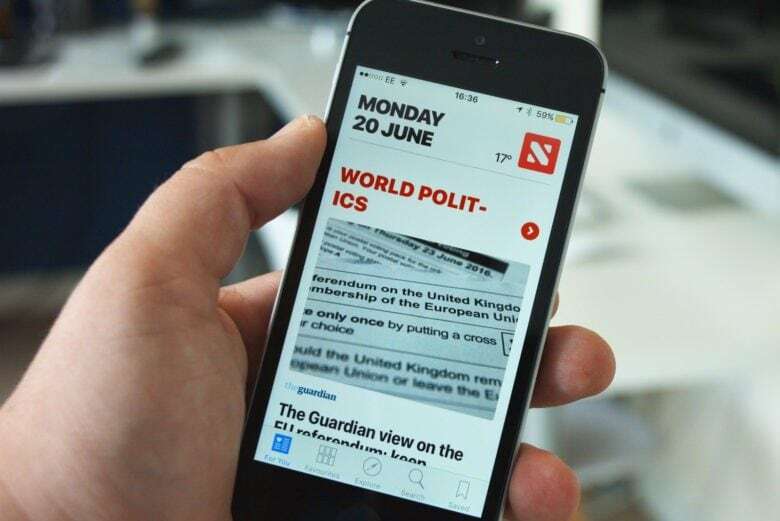 As a money maker, the existing Apple News has reportedly been unspectacular for publishers. The first iPad newspaper, The Daily, was also a famous failure. Finally, Apple is supposedly asking for a 50 percent cut of subscription fees for hosting the content. Realistically, the service is likely to help smaller publishers to reach a wider audience. However, for entities like The New York Times, with successful subscription models, it makes sense to keep them — and hold onto more of the cash as a result.